Recently, my wife and I were discussing distracted driving. It’s not weird because I’m a driving instructor. Anyway, I was casually explaining how distracted driving has become the main topic of conversation in the driver safety community. “It’s a problem that doesn’t seem to be getting any better,” I said. And, while she listened patiently, I went on to explain how the NSC has declared multitasking a myth and reports that distraction latency persists for up to 27 seconds after the distraction itself; how the NHTSA is calling for parents to lead by example and for passengers to speak out whenever a driver becomes distracted; and how the CDC is reporting that still approximately 9 people die and more than 1000 people are injured in crashes involving distracted driving each day. “What about mindfulness?” she asked, as if I were also reading the book currently in her hand. After she explained a bit further and I began to understand what she was talking about, I was acutely reminded of why I put a ring on it. She is brilliant. Her idea set me on a researching rampage. I sought out to learn everything I could about mindfulness and how it could be applied to the distracted driving problem. And, here’s what I found. As a spiritual exercise, mindfulness was born and is still most commonly practiced through meditation. But after centuries of practice and evolution (and globalization), the concept of mindfulness has made it into the mainstream and taken a more general ideology applied in many more ways. During my research, its application in modern American psychology stood out the most. In therapy, mindfulness training is used to reduce symptoms of depression, stress and anxiety, as well as a treatment for a variety of conditions such as addiction and mood disorder. It is a surprisingly useful tool to improve impulse control, resilience, focus and working memory–all of which happen to be key factors in the distracted driving problem. Psychologists teach mindfulness in three basic parts: observation, description and participation. As you practice each, psychologists suggest that you do so non-judgmentally, one-mindfully and effectively. As a driving instructor, I believe that every student driver begins as a mindful driver. It’s necessary to the learning process. It’s simply not possible to learn something while focusing on something else. It’s after we learn how to drive, habituate our driving decisions and actions, and become constantly busy members of society that our mindfulness behind the wheel is eclipsed by other seemingly more present experiences. Revitalizing mindfulness on the roadway begins with remembering how much you forgot you do as a driver. 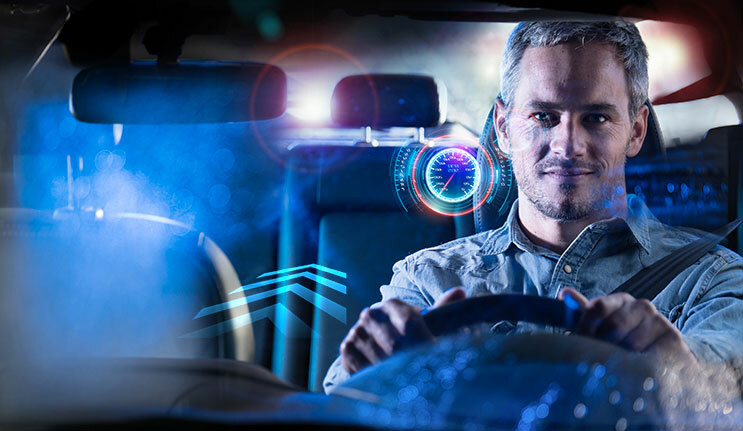 By observing and describing what’s currently happening in and around your car, both events and what you think and feel at the time, you can bring all those by-the-wayside tasks and experiences back into direct view of your mind’s eye. It’s best if you can do this verbally but, in the case of a carpool, inner dialogue works too. It helps to have what psychologists call a “teflon mind,” where you can acknowledge events, thoughts and feelings for the moment that they exist and let them slip away when no longer current. Allowing thoughts and emotions to stick in the mind beyond acknowledgement foments judgment and metaemotions (feelings about your feelings), which is a slippery slope that leads us to perseverate on events long past or yet to come and thereby miss out on the reality of the now. The somewhat mysterious phenomenon known as distraction latency comes to mind–aaand, now it’s gone. Mindfulness requires that we participate in one experience at a time. This is the part that is most anti-distraction and the part that requires the most willpower. It’s the hardest part because it’s a choice. When I am trying to be a mindful driver and I choose to divert my attention and efforts to something else (like that ping noise coming from my pocket), then I am no longer participating in the driving task. I become a smartphone user who happens to be sitting in the driver’s seat of a moving vehicle. Although I am still aware that I am driving, I am mentally and/or physically disengaged from the driving experience and participating in a completely different experience. Imagine trying to describe your performance of an ongoing lane change while, at the same time, texting your friend back about his cat’s recently successful gallbladder surgery–mindfulness blown. Alternatively, I can choose to use my “teflon mind” and acknowledge the ping noise by saying, “oh, I just received a text but I’m still driving,” then choose to continue participating in the driving experience knowing that I will check my text at a later time when my attention is no longer demanded by an already ongoing task. Lastly, effectiveness is key to the success of any endeavor. Not that most psychologists are Woody Allen fans (though, I wouldn’t be surprised if they are), but psychologists do take a “Whatever Works” sort of approach when teaching mindfulness. Whatever helps you choose to be and stay mindful behind the wheel is a good thing. Put your phone in the trunk, turn it to silent, build a faraday cage into the cabin of your car–whatever works. If you practice mindful driving long enough, something paradoxical happens–it becomes a habit. After consistently choosing to remain mindful of the driving task in response to the ping noise, at some point your brain becomes so accustomed to the choice that you no longer require conscious thought to make it. Eventually, ignoring distraction becomes an unconscious action that serves to maintain mindful (read: safe) driving. If that’s not “woke,” then I’m just too old to understand what that means. 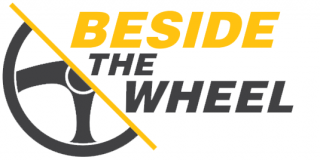 BesideTheWheel is a blog for driving instructors by a driving instructor! Follow. Share. Teach.